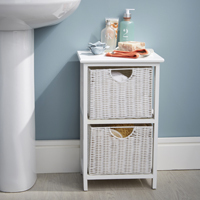 Our new bamboo storage ladder has been designed to add some instant storage to any room of the house whilst taking up minimum floor space. 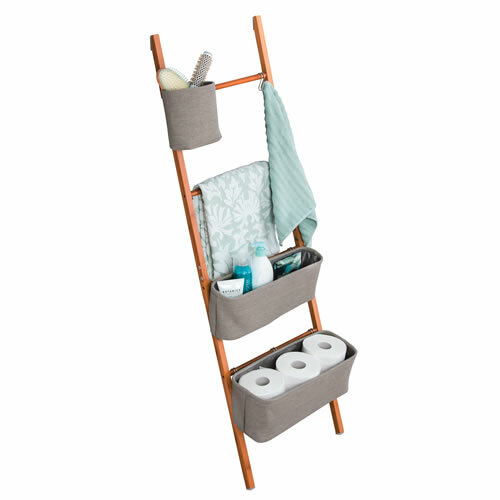 The ladder features a minimalist bamboo frame with 3 adjustable 100% cotton storage totes and we've also included a hook which can be clipped onto any of the rungs to hang essentials. 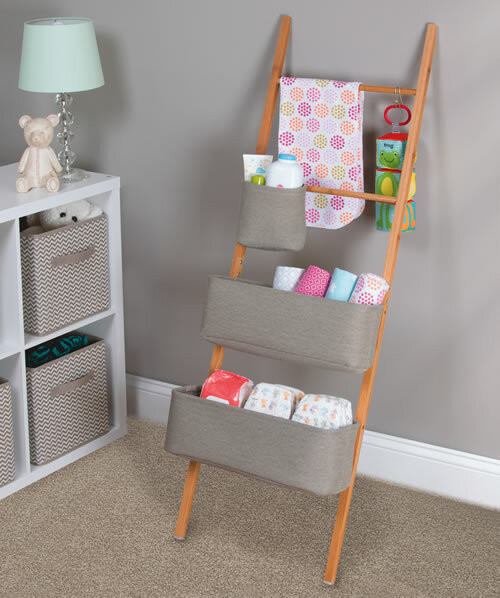 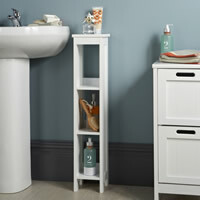 The ladder is perfect for using in the bathroom for toiletries, towels etc in the babies room for wipes and nappies or how about using in the living room for magazines, remotes etc. 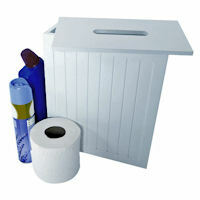 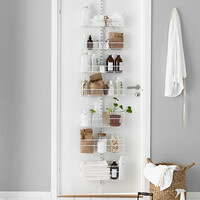 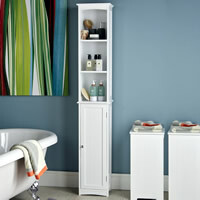 or as a craft room storage solution for your supplies.